World energy demand is growing exponentially and the paths to meeting it are many. Steadily, and quite quickly, the world is diversifying its primary sources of energy. As we transition from fossil fuels, such as oil and coal, through natural gases and nuclear power and further towards renewable sources dependent on whims of weather, there’s an increasing need to overcome the gaps which arise when the scales of energy supply and demand are out of balance. With energy consumption expected to increase one third by 2035, we are meeting the challenge of matching supply to demand by drawing on the best technologies we have in generation, distribution, and efficiency in consumption. The solutions we need exist today and there is enormous potential to implement energy efficient technologies: 63% of energy saving potential is found in industry and buildings and 90% of buildings in the EU have not been renovated for energy efficiency. At the same time, it’s documented that GPD increases by 1% annually as a direct result of introducing energy efficiency measures. ‘With the rise of renewables in much of the world, understanding and managing flexibility is becoming a cornerstone of energy markets,’ International Energy Agency, 2017. To address fast-rising energy demand, Southeast Asian countries are increasingly pursuing energy efficiency policies and have agreed on a collective efficiency target of reducing energy intensity by 30% by 2025 compared with 2005 level, in addition to national targets in some countries. In 2017 the global energy storage market is expected to grow 47 percent from the already record-breaking year in 2016 in terms of new storage capacity deployed. So, market forces are propelling accelerated use of existing solutions and the development of new technologies too. The increasing influence of renewables means that the energy system is rapidly evolving to accommodate decentralization. Decentralization: With energy generation increasingly located decentrally at or near the customer site, energy providers attempt to meet the ever-changing supply and demand requirements as closely as possible. The vital technologies in achieving the balance are distributed storage, microgrids, demand response and energy efficiency measures. 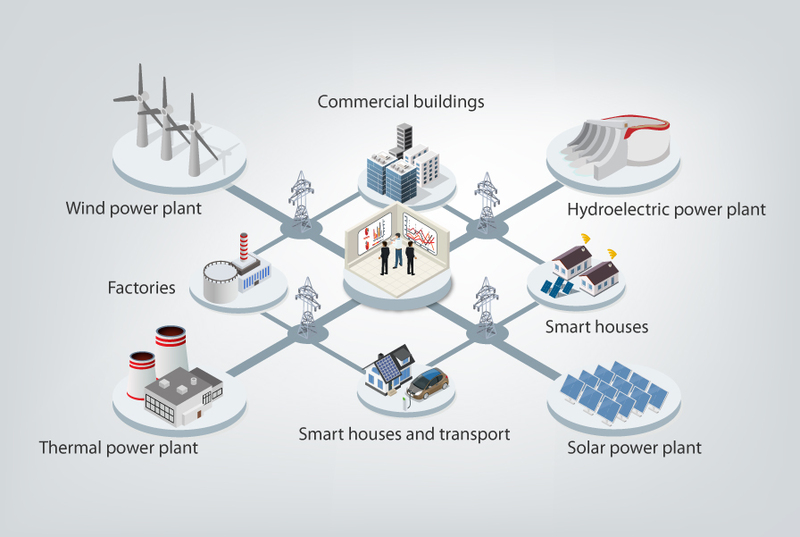 Correspondingly, smart systems evolve to balance the grid and connect local energy generation with local consumption, evening out surpluses and deficiencies. Digitalization is a vital ingredient in facilitating the growth of decentral energy systems, enabling open, real-time, automated communication. We will increasingly employ smart metering, remote control and automation systems. Beyond the meter, optimization and aggregation platforms as well as smart appliances and devices will connect us even further. Accelerating electrification of many applications traditionally fueled by hydrocarbons is critical to long-term carbon goals and will be a relevant distributed resource. We will increasingly convert to electric vehicles, smart charging and heat pumps, which in turn lend themselves to locally generated power. The three trends of decentralization, digitalization and electrification have the potential to disrupt the conventional electricity system, and they reinforce each other in a virtuous cycle. The potential for disruption is further fueled by exponentially decreasing energy costs, innovative business models, and low asset utilization of the electricity grid. Our website contains videos, case stories and information about AC-drive products for hybridization. Visit it now to learn more. And if you have any questions about hybridization or the future of energy storage solutions, don’t hesitate to put a comment in the box below.